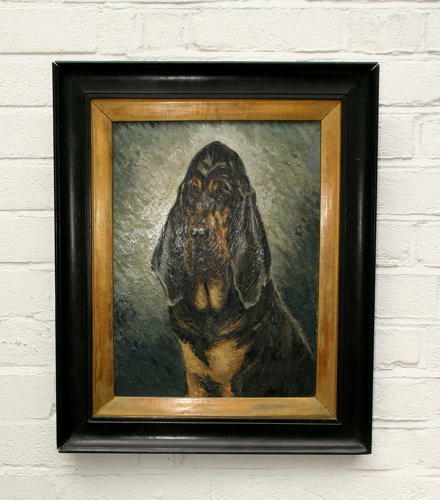 Nicely painted Bloodhound portrait, dog oil on board painting, framed, c.1900. no signature. An unusual breed to find in a dog portrait.